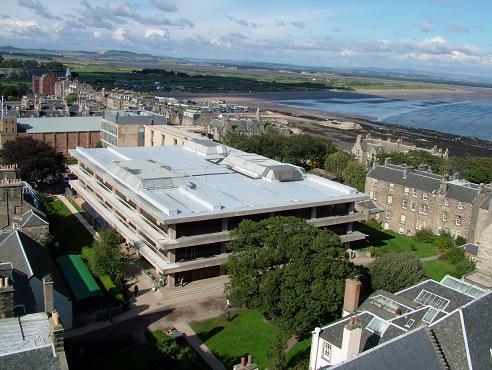 The Main Library of the University of St Andrews is located on North Street. The Library is open for over 100 hours a week during the semester, including weekends. Query: Would you be able to tell me the address of the Tullis Press in Cupar in 1803? According to D.W. Doughty’s bibliography (http://library.st-andrews.ac.uk/record=b1296718~S5), R. Tullis purchased 6-8 Bonnygate, Cupar in 1801. Here he set up his bookshop and bindery, and lived in the flat above. I hope this helps, please feel free to get in touch via e-mail as well. Hello. I am interested in getting a copy of the 18th Century Ethiopian psalter of an Archangel protecting Shadrach, Meshach and Abednego in the furnace. Has this been reproduced by the University and if so, how could I purchase a copy? Thank you. Hi Ellen, if you send your request to our reading room team (speccoll@st-andrews.ac.uk) they’ll process your request! Thanks! Spin- and angle-resolved photoemission study of topological band inversions within a single orbital manifold / Oliver Jon Clark. Madness in Socratic philosophy : Xenophon, Plato and Epictetus / Matthew James Shelton. Derrida, Arendt and 'care for the world' : forgiveness and cosmopolitanism reconsidered / Christopher James Peys. Evolutionary theory of human warfare : genes, individuals, groups / Alberto Jacopo Cesare Micheletti. The Gospel of Mark in the context of ancient biography / Francis Aldo Rouvinez. Title redacted / Haley LaRae Goranson. Title redacted / Jihye Lee. The work of the ascended Christ : T.F. Torrance's doctrine of mission and ministry / Joseph H. Sherrard.